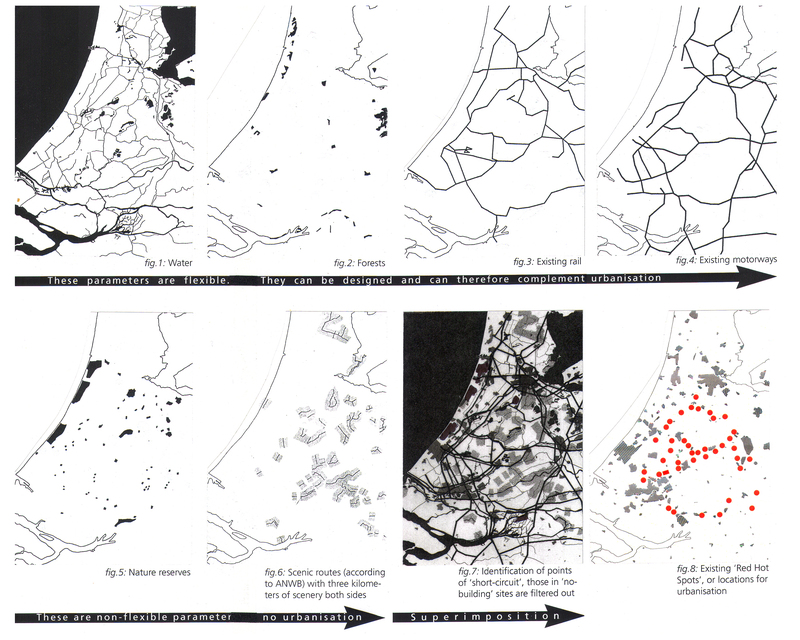 This submission to the Inside Randstad Holland competition of 1994 proposes a gradual and adaptive urbanisation process of the so-called “Green Heart” of Holland, instead of a singular overarching or fixed master plan that presupposes a city to be “complete” at some point, which of course is never the case. “Menu” suggests a planning process whose course is informed by successively mapping historical as well as new features of the Green Heart –from heritage to infrastructure– in order to determine, at a given time, optimum locations and densities of new development. 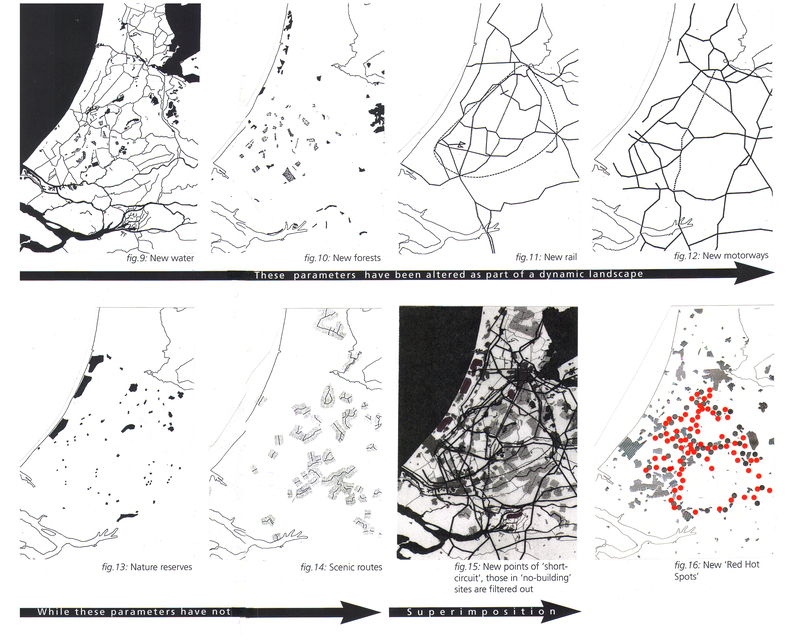 The diagrams below illustrate a simplified scenario of how this mapping-based feedback mechanism might work. The idea was to see how a master plan could incorporate the element of time, and hence transformation; an adaptive mechanism instead of a graphic image. Collaborator: Jan Peter Wingender. Awarded “Incentive Prize” by the competition jury.